Has Your State Stolen Money From You? Listeners often call my radio program saying their state stole money from them, or they received a letter warning them of the impending theft. The lucky ones get a letter. Jeff Rogatz tells News Journal reporter Jonathon Starkey of his youngest son’s education account, kept at the brokerage firm Charles Schwab. One month, the account held $2,500. The next month, the balance was zero. Rogatz placed a call to Charles Schwab. A spokeswoman admitted that the firm “escheated” Rogatz’s money to the state. “I don’t really pay that much attention to the statements. I just happened to look at it this time,” Rogatz admitted to Starkey. States around the country are changing the rules of claiming abandoned property. Why? Because they want to take the money in the life insurance policy your grandmother never cashed or collected. They really want to keep the millions of dollars corporations leave unaccounted for. I spoke with Council on State Taxation (COST) President Doug Lindhom about this. COST tracks business tax issues and Lindhom warns states are decreasing the holding periods for your property. The holding period is the amount of time your state tax collector perspires, waiting until he can steal your money. States never considered your money to be “abandoned property” unless it languished for 5 or 7 years. Now they’re reducing it to 3 years. So, if you have a savings account, college brokerage account or any money that just sits quietly minding its own business, you’d better not miss that letter that’s supposed to go out, or your kid’s college money is now a stranger’s state college grant. States also hire third-party bounty-hunting auditors who scour records of financial firms looking for such “abandoned property.” They will find it because they are paid on a contingency fee; they only get paid when they find money the state can steal. These laws, known as escheat laws, were put in place by rare and ancient forebears of our current lawmakers in order to return forgotten wealth to its owner or the owner’s heirs. Known as “public servants,” these freaks of nature conceived of a government that served the people. That’s an odd way of thinking compared to today’s liberals who recognize the true purpose of government is to transfer citizens’ earnings and savings to the government so the government can take care of all your needs. Delaware leads the way in escheating money. 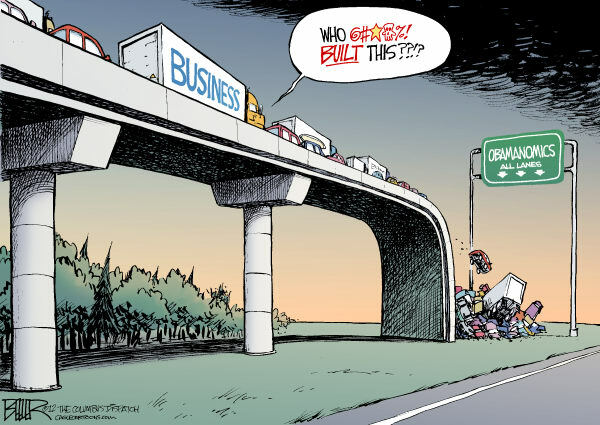 With 64 percent of Fortune 500 companies and 50 percent of all U.S. companies incorporated in the First State, there are hundreds of millions of dollars being siphoned into the state trough. The state takes stocks, uncashed wage checks, expired gift cards and unaccounted-for inventory at companies. For example, Wile E. Coyote Roadrunner Decoy Company might order 5,000 decoys from Acme Decoy Manufacturing every year. Counting on some damage from shipping, Acme regularly ships an extra 100 decoys with no expectation for payment. 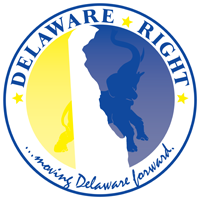 Delaware says Mr. Coyote owes the state $40 for each of those freebies as unclaimed property… for the past 30 years! That’s $120,000 for just one supplier! Buck up, pal! Delaware also successfully sued Staples, Inc. over unclaimed rebates for large-volume business customers. The value of those rebates must also be turned over to the state. Imagine that. You give out, say, $1,000,000 in rebates and then the Sheriff says you have to pay the state $1,000,000 because… um… well… just BECAUSE! How DARE a business use rebates for marketing! Solution: Elect candidates who promise to increase holding periods to 5 or 7 years, get rid of contingent-fee third party bounty-hunting auditors who work for their own bank accounts, and tax real earnings, not pretend earnings. 2 Comments on "Rick Jensen, Guest Post"
I listened when you covered this on your show. Parts i thought you missed. One, more outrage that bounty hunters got paid on a percentage of what they found, meaning that they have considerable pressure and motive to bend rules that cheated people out of their money. I understand if someone dies, and money is left simply sitting without anyone knowing of its existence to even attempt to claim such, the state should have the right to put it to better use for its citizens.. However, the Staples’ and the example you used on the show, that of free shirts sent with big orders, point to how an unknown potential gap of intangible assets, could put a business into bankruptcy. Usually there is a court responsible for sorting out claims that are real or perceived. I feel such mistakes would not pass judgment of being assets in any court of responsible officers… These examples defy common sense. Use of court action might be the option presented to such victims, forcing the state of Delaware to defend itself in future courts against any allegations of erroneous claims made by overzealous bounty hunters having an otherwise dry day…. The right to a court hearing is a basic right for every individual or corporation. It needs to be available in this case, most assuredly….